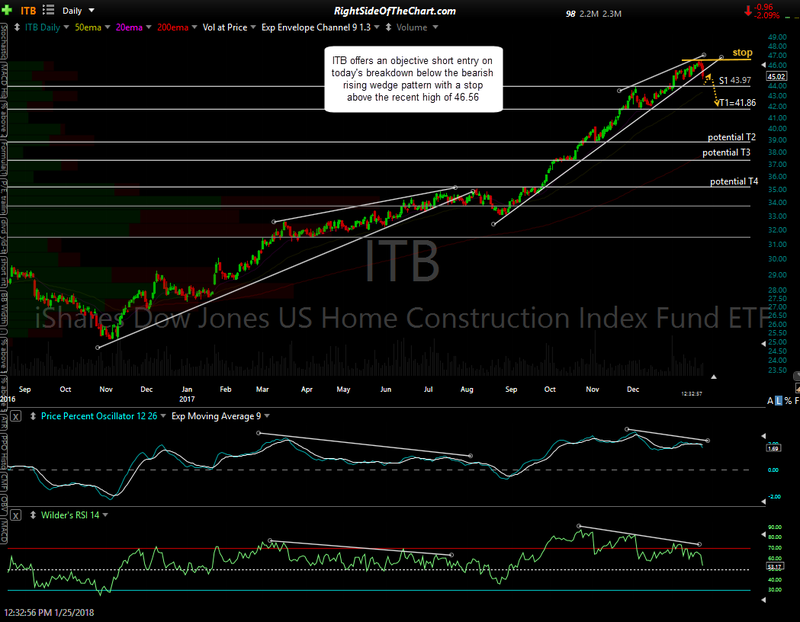 ITB (iShares Dow Jones US Home Construction Index Fund ETF) offers an objective short entry on today’s breakdown below the bearish rising wedge pattern with a stop above the recent high of 46.56. The sole price target at this time is T1 at 41.86 with the potential for additional targets, depending on how the charts develop going forward. The suggested beta-adjusted position size for this trade is 1.0. I just wrapped up a video covering 14 individual stocks within ITB that standout as compelling trade ideas, including additional analysis on ITB. That video will be posted shortly.